REDONDO BEACH, Calif. -- A young Pacific gray whale has been delighting visitors to the Redondo Beach pier this week, frolicking and splashing in the water close to the shoreline. 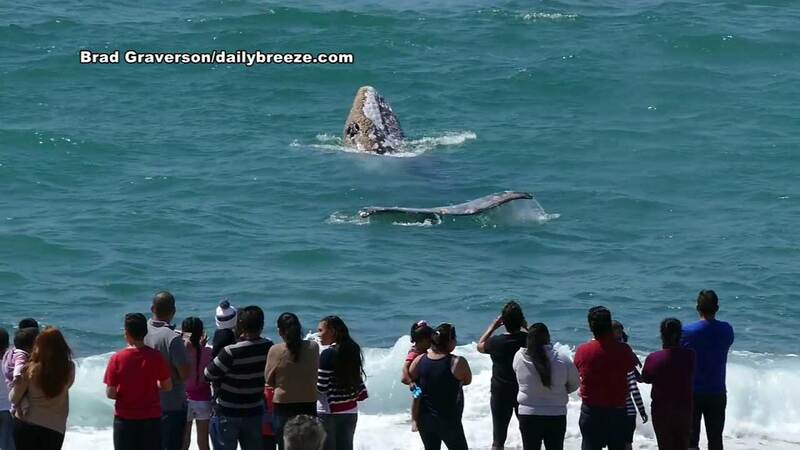 The whale swam to shallow water near the beach on Wednesday, popping its head out of the water, splashing around and scratching itself on the sand below as beachgoers gathered to watch and take pictures. The whale has been spotted in the area several times this week.